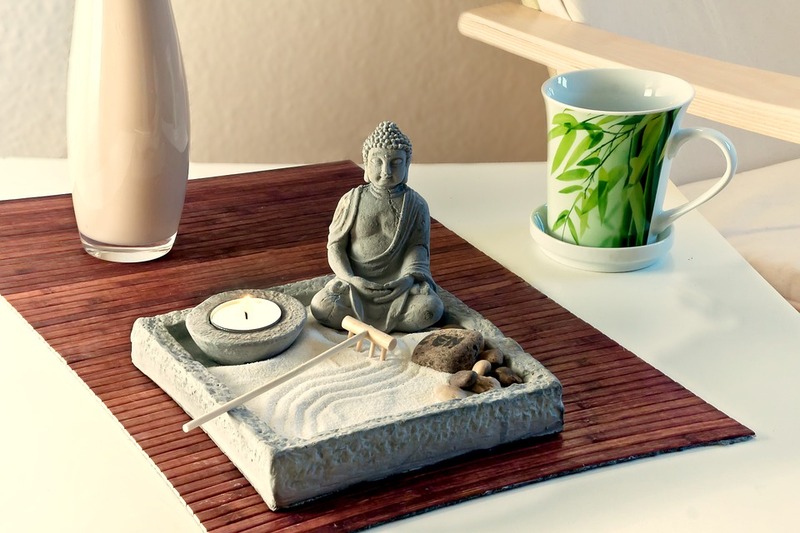 Can Feng Shui Help You Live Better? Feng Shui. Is it a buzz-word, or is there something in this ancient body of knowledge that can inform and enhance modern living? A definition of feng shui is a helpful place to begin answering that question. Feng shui originated in China, and is essentially an environmental science that is applied to create a proper flow of energy. The philosophy and practice of feng shui is to contribute to the well-being of individuals and communities through the art of placement, for balanced energy flow. All societies possess in some form or another the knowledge that feng shui contains. Today in the West, the practice of feng shui can advise us in creating surroundings in which we feel supported and at ease, whether at home, at work or around the community. Many of the principles of feng shui are common sense, such as using natural lighting, fresh air ventilation, and cleanness to help both our bodies and minds remain healthy. 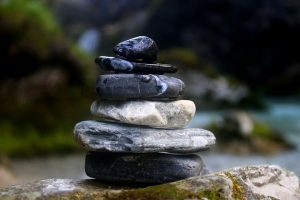 At the same time, feng shui contains other environmental concepts that might not seem so obvious as potentially beneficial or harmful. In fact, some harmful arrangements go unnoticed until we recognize a problem area in our life and take steps to correct the problem. Once our surrounding are properly ordered, we can connect to the energy around us that allows us to experience desired changes for the better. Have you ever noticed that some spaces instinctively feel right? Whether they were created by intentional design or by someone with a subconscious gift for placement and flow, there are feng shui principles at work bringing the place into harmony. 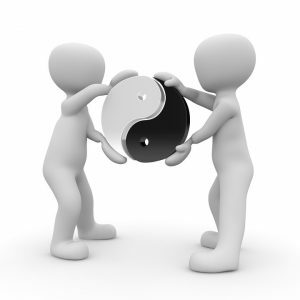 According to feng shui, two opposite forces – yin and yang – always act together to create energy. More examples of yin-yang forces include still-moving, high- low, hot-cold. At extremes, the opposites change into each other: ice can cause burning, and sunstroke can cause shivering. The object in feng shui is to bring these opposites into balance. A second principle of spaces that feel right is the idea of Chi. Chi doesn’t have a western equivalent, but loosely can be translated as the life force of animate things, the power of the sun and weather, the quality of the inanimate or of the environment. In short, the energy. When Chi is blocked in our bodies, acupuncture is used to help it flow and restore health. Where Chi is blocked in our homes or other surroundings, proper re-arrangement will get it flowing smoothly and gently once again, restoring peace and harmony for the occupants. You could find resources online or at your local library that give very detailed and specific instructions about balancing yin and yang or enhancing the flow of Chi. But you don’t need to start with books and research in order to immediately improve your surroundings and therefore your quality of life. The most practical and beneficial place to begin applying the principles of feng shui is so simple as to be deceptive in its power~. Begin by getting rid of clutter. Pick a place to begin that will give you momentum. In other words, start small and complete the job. Organize a drawer, empty a closet, clear a table top. Toss or give away what you deep down know you should, and then neatly put away the rest. Now, notice how you feel around that clear and clean place. If you like the feeling, continue. Over time, de-clutter everywhere. When that’s complete, if you like the feeling of uplift and renewal that results, you’ve reached the point when it’s time to get the resources and books. Use them to delve into the fascinating art and science of feng shui. Every day we brush our teeth, take a shower, and wash our hair, but we never clean out the toxic overload inside us. 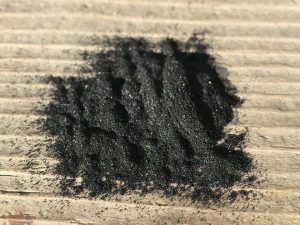 Our bodies come with a highly sophisticated waste disposal system, which normally purges toxins, metabolic waste, by-products of digestion and other debris. However, we have over-stimulated, but sedentary lifestyles and we live in a highly toxic environment. Reports suggest we are exposed to up to 300 volatile organic compounds in our homes alone. In short, our systems are overwhelmed and the body’s natural defense mechanism is beginning to malfunction and symptoms of toxic overload such as fatigue, confusion, and aggression are occurring in many of us. Over 100 million Americans suffer from some form of the digestive disease. In fact, more Americans are hospitalized due to diseases of the digestive tract and Colon than for any other group of disorders. It is estimated that the total cost in lost work, lost wages, and medical bills are over $50 billion per year. So, if we are to tackle toxic burdens before they manifest themselves in illness, we will take the strain off our immune systems and feel much healthier in the process. Soda Pop accounts for more than a quarter of all drinks consumed in the United States. More than 15 billion gallons were sold in 2000. That works out to at least one 12-ounce can per day for every man, woman and child. Phosphoric Acid: May interfere with the body’s ability to use calcium, which can lead to osteoporosis or softening of the teeth and bones. Phosphoric acid also neutralizes the hydrochloric acid in your stomach, which can interfere with digestion, making it difficult to utilize nutrients. Sugar: One can of soda has about 10 teaspoons of sugar. It is a proven fact that sugar increases insulin levels, which can lead to high blood pressure, high cholesterol, heart disease, diabetes, weight gain, premature aging and many more negative side effects. Most sodas include over 100 percent of the RDA of sugar. Aspartame: This chemical is used as a sugar substitute in diet soda. There are over 92 different health side effects associated with aspartame consumption including brain tumors, birth defects, diabetes, emotional disorders and epilispsy/seizures. 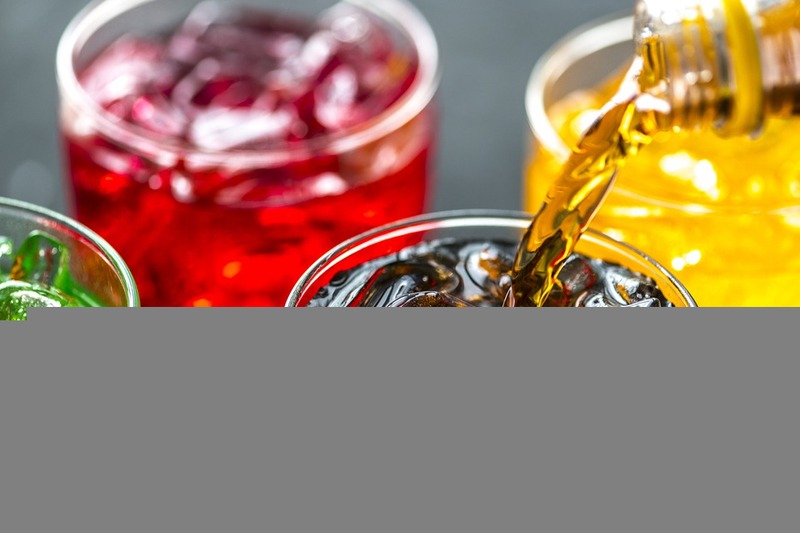 Further, when aspartame is stored for long periods of time or kept in warm areas it changes to methanol, an alcohol that converts to formaldehyde and formic acid, which are known carcinogens. 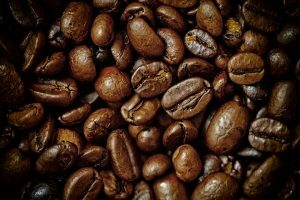 Caffeine: Caffeinated drinks cause jitters, insomnia, high blood pressure, irregular heartbeat, elevated blood cholesterol levels, vitamin and mineral depletion, breast lumps, birth defects, and perhaps some forms of cancer. Tap Water: I recommend that everyone avoid drinking tap water because it can carry any number of chemicals including chlorine, trihalomethanes, lead, cadmium, and various organic pollutants. Tap water is the main ingredient in bottled soft drinks. 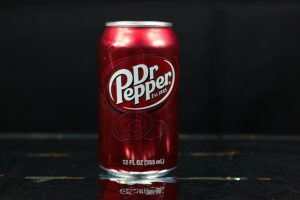 Soda is one of the main reasons, nutritionally speaking, why many people suffer health problems. Aside from the negative effects of the soda itself, drinking a lot of soda is likely to leave you with little appetite for vegetables, protein and other food that your body needs. If you are still drinking soda, stopping the habit is an easy way to improve your health. Pure water is a much better choice. If you must drink a carbonated beverage, try sparkling mineral water. Is Splenda Really As Safe As They Claim It to Be? As of 2005, only six human trials have been conducted on Splenda (sucralose). Of these six trials, only two of the trials were completed and published before the FDA approved sucralose for human consumption. The two published trials had a grand total of 36 total human subjects. The longest trial at this time had lasted only four days and looked at sucralose in relation to tooth decay, not human tolerance. McNeil Nutritionals, in their marketing pitch for Splenda, emphasizes that Splenda has endured some of the most rigorous testings to date for any food additive. Enough so to convince the average consumer that it is in fact safe. They claim that over 100 studies have been conducted on Splenda. What they don’t tell you is that most of the studies are on animals. There is no question that sucralose starts off as a sugar molecule, it is what goes on in the factory that is concerning. Sucralose is a synthetic chemical that was originally cooked up in a laboratory. In the five-step patented process of making sucralose, three chlorine molecules are added to a sucrose or sugar molecule. A sucrose molecule is a disaccharide that contains two single sugars bound together; glucose and fructose. The chemical process to make sucralose alters the chemical composition of the sugar so much that it is somehow converted to a fructo-galactose molecule. 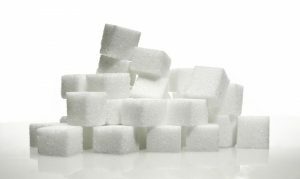 This type of sugar molecule does not occur in nature and therefore your body does not possess the ability to properly metabolize it. 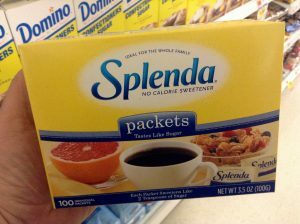 As a result of this “unique” biochemical make-up, McNeil Nutritionals makes its claim that Splenda is not digested or metabolized by the body, making it have zero calories. 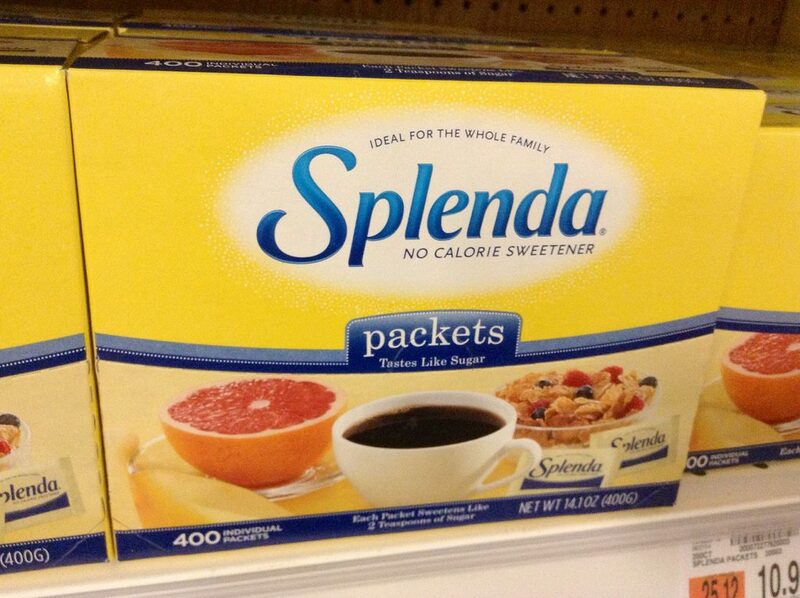 It is not that Splenda is naturally zero calories. If your body had the capacity to metabolize it then it would no longer have zero calories. Herbal Health Products and Supplements are Safe! Yes! Herbal health products and supplements are safer than medicines just because they occur in nature or come from plants. After all, many plants are poisonous! 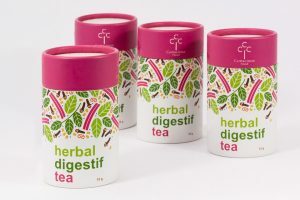 Although herbal products and supplements are advertised natural because they are necessarily natural to the human body. Unlike prescription and over-the-counter (OTC) medicines, herbal products and supplements are already tested to prove they work well and are safe before they’re sold. Also, they are pure. And they also contain other ingredients, such as plant pollen, that could make you Fit and Fine. Nozovent (Anti-snoring device For Peaceful, Restful Sleep! Nozovent is a device to help eliminate snoring by dilating the nasal airways, increasing airflow, enhancing breathing; reducing nasal constriction and can also benefit athletes by stabilizing blood pressure during physical exertion. Nozovent is designed to increase the airflow through the nose by dilating the nostrils, enhancing easy breathing, and lessening the vibration of the soft palate which dramatically reduces or eliminates snoring. Nozovent helps get rid of unhealthy mouth breathing and minimizes the drying of the bronchial mucosa. In many cases, it decreases the severity of sleep apnea. Hoodia Gordonii has been used for generations by South African tribesmen to stave off hunger and thirst during long hunting expeditions. 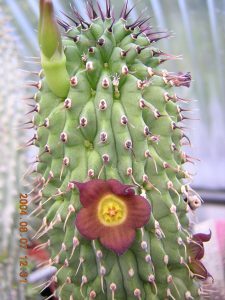 South African scientists have been testing Hoodia since 1996 when they discovered the plant contained a previously unknown molecule that replicates the effect glucose has on nerve cells in the brain fooling the body into thinking it is full, even when it is not. Hoodia’s appetite suppressing molecule is said to be almost 10,000 times stronger than glucose. A U.S. pharmaceutical company spent over 400 million dollars researching this molecule. Just because summer has faded doesn’t mean your tan has to. Elusun self-tanning supplements help you maintain a healthy golden glow without exposing your skin to the harsh rays of the sun. Stay tan long after the sun goes down with Elusun self-tanning supplements. L-citrulline, like L-arginine and L-ornithine, is a metabolite in the urea cycle and is involved in liver detoxification and vasodilation pathways. It is produced in the urea cycle when carbamoyl phosphate is converted to citrulline in the ornithine carbamoyltransferase reaction. Free form amino acid, high purity, well tolerated. For additional support, one may include Item no. 50740 Magnesium Malate Forte. It is an advanced 21st Century formula that blends Senna with a rich variety of other herbs known to help effectively promote regularity. 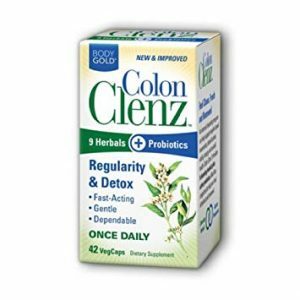 Its gentle, dependable formula contains key efficacious herbs found in our top-selling Colon Clenz, plus Fennel, Peppermint, Chlorophyll, and Apple Pectin for soothing freshness. Colon Clenz (Colon Cleanse) For Your Inner Health – Colon Clenz is a gentle blend of nature’s cleansing herbs which promotes regularity and a clean internal environment. Sometimes eating and drinking the right things just isn’t enough. Just take it before you go to bed and experience the working benefit in the morning. Colon Clenz (Colon Cleanse) is perfect for occasional constipation. Hep-Forte is a comprehensive formulation of amino acids, protein, B vitamins, antioxidants and other nutritional factors that have been shown to be important in maintenance and support of the normal liver (hepatic) function. Pure artemisinin or Qinghaosu, the active constituent of the herb Artemesia annua (sweet wormwood). 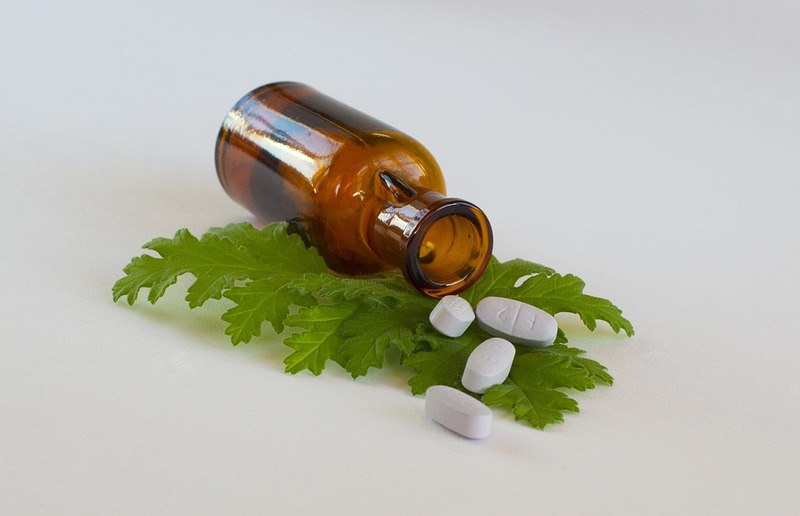 Good quality Artemesia annua contains 0.3-0.5% artemisinin, so pure Artemisinin provides hundreds of times more of the active constituent artemisinin than the whole herb itself. Research has shown artemisinin to be particularly beneficial in balancing the microbiology of the GI tract. (attract and hold to its surface) gases, liquids, and dissolved substances. AdvaCAL Ultra includes magnesium, vitamin D and 6 other essential bone nutrients for a complete bone health formula such as Vitamin C, Zinc, Copper, Manganese, Boron , and Silica. Red Marine Algae, or Dulse, has been used by people as a food staple for thousands of years. Often referred to as a sea vegetable, research has shown that the sulfated polysaccharides in Red Marine Algae may provide nutritional support for immune health. Graviola (Annona muricata) – Some of the active ingredients documented, researched, and verified in graviola are a group of Annonaceous Acetogenins which are only found in the Annonaceae family to which graviola belongs. These phytochemicals are being researched and patented around the world for their active biological properties and potential uses. 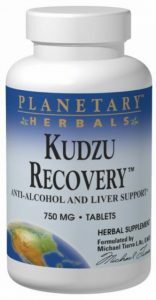 Planetary Formulas Kudzu Recovery features the roots and flowers of kudzu (Pueraria lobata), which have long been used in Chinese herbalism to help lessen the desire for alcohol. Hawthorn is one herb you’ll want to keep close to your heart. This herb contains important flavonoids and possesses a host of hearty benefits. 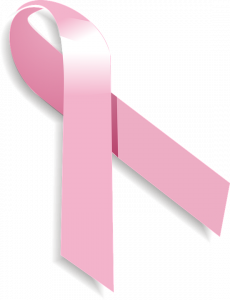 Cancer: The Race for the Cure! The Race for the Cure? 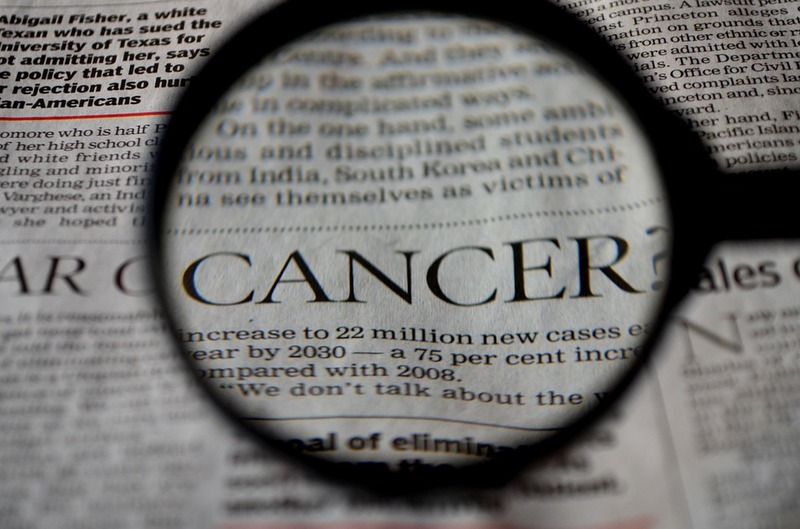 The public consciousness is once again being stimulated in order to reap financial support for cancer research and protocols, which for 70 years have produced high profits but no cures. Cancer was being cured in the 1920s and 30s and is being cured today by simple self-help methods. But, the medical cancer industry prevented then and continues to prevent now dissemination of this knowledge and instead promotes their own profitable industry of research, surgery, radiation, testing, chemotherapy and drugs…all of which treat symptoms, not causes. Cancer has steadily increased because we continue to poison our air, water, soil, food and thus ourselves. Our bodies are designed to overcome disease, but when they become overwhelmed with toxins, our resistance fails. The insurance industry dictates which profitable protocol is acceptable, and since most people have bought into the insurance lottery, they are trapped in this corrupt system. Having healed myself of colon/pancreatic cancer in 1969/70 and has taught hundreds of others proven self-help methods, I know that by changing lifestyles and diet, by learning ancient and modern self-help techniques, most anyone with desire and commitment can heal themselves of cancer and other degenerative diseases. Just think, if more people chose self-healing, we would lower medical costs, reduce the need for costly insurance, and raise the level of our personal health and wellbeing. Bonsai is the art of planting and cultivating trees in a pot and shaping for a selected color, texture and shape. “Bonsai” translates from Japanese to mean “tray planting”, but bonsai has evolved over the centuries to an art form. 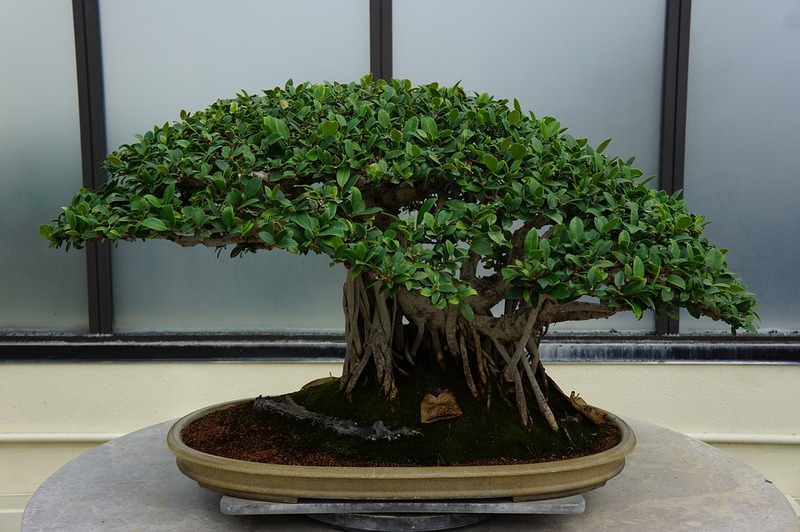 Bonsai trees are shaped into intricate styles – it may take years to achieve the desired shape. Once the initial shape has been obtained, the tree is continually trimmed to maintain the design. Bonsai is a fascinating hobby that takes time to perfect but is challenging and rewarding. It is important that when you are first starting out with bonsai that you have a general idea of what it is that you want to achieve. Even expert and experienced bonsai creators have some personal concept of what it is that bonsai means to them. You need to make your own decision about what you want to see when you are finished dwarfing and shaping your bonsai tree. 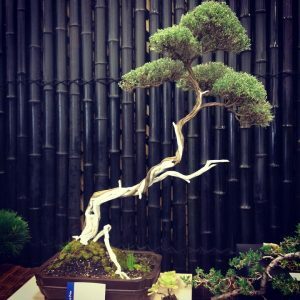 Before beginning a bonsai project, find out as much information as you can about bonsai in general, so you understand the direction to pursue. 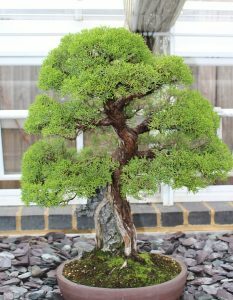 A good starting point could be collecting pictures of bonsai you find appealing combined with information on how to achieve this style. Many areas have local bonsai nurseries, bonsai shows, or bonsai exhibitions as part of a botanical garden. When starting your first bonsai project, select inexpensive materials which will allow you to experiment without concerns for the costs. There are two primary bonsai styles: “koten”, or classical bonsai; and “bunjin”, or informal bonsai. The Koten style is a tree with the traditional wider bottom and tapering top. The bunjin style is the opposite – the bottom is narrow and the top grows wider. With a basic understanding of the bonsai styles, you can move onto to creating variations developed by other bonsai hobbyists. Eventually, you’ll be able to add your own unique style to your bonsai creations. The best recipes call for fresh herbs rather than their dried equivalents that are found on the spice aisle in the grocery store. Fresh herbs add a delightful flavor and zest to foods that just doesn’t compare to dried spices to the trained palette. What is the ardent gourmet cook to do when the plebian local grocery store caters to only the mediocre taste buds? Consider growing your own herbs indoors, of course! If you want that just right flavor and aroma for your gourmet dishes, it’s worth a little extra effort to have your own supply of completely fresh herbs. If herbs have a delicate flavor, does that mean the plant is also delicate? Don’t let their delicate flavor mislead you into thinking the herb plant is also delicate. In fact, many herbs grow so hardy that they are labeled “invasive”. In garden language, that means herb plants will totally dominate and take over an area. To save your garden from this invasiveness, it’s much simpler to grow herbs indoors in a dedicated location. Begin your garden by picking out a variety of small to medium flowerpots with drainage holes. Your selection looks best if the pots match your decor. The herbs that you select should interest you and maybe even look good in your room’s surroundings. When you scoop in potting soil, be sure to prepare the soil according to the bag’s planting directions. Decide which herbs are your favorites that you would like to try growing. 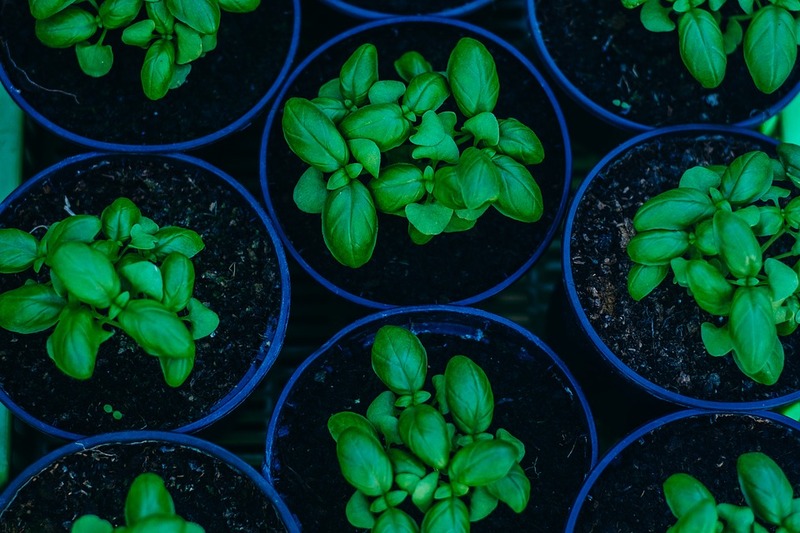 Any of these herbs make a good choice for starting your herb growing adventure: basil, thyme, sage, chives, and rosemary. 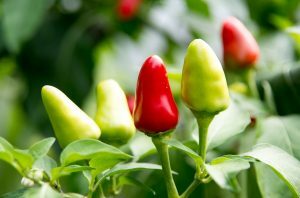 Purchase a packet of seeds or starter plants from your local greenhouse or nursery. If it is winter and your local garden centers are closed, you can buy seed packets online any time of year. Plant herb seeds according to the package directions, being careful not to plant the tiny seeds too deep. 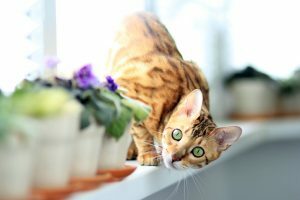 The windowsill is not always the best place to put your herb plants. While these plants will get plenty of sun, they will also be harmed by a cold climate. These flowerpots should be placed someplace that gets a minimum of 6 to 8 hours every day. When the soil feels dry to the touch, water your herbs. If you have a difficult time determining when to water your plant, purchase a thermometer-like device for your plant from a garden center. The device is simple to use: place it in the soil and it reads if your type of plant needs water or not. To catch draining water through the pot’s drain holes, put a plastic drip pan under your flowerpots. If you don~t think you can grow a garden on your own, consider purchasing the Chia pet, which is made for anyone to grow. As your herbs grow, simply sheer off the fresh herb with a kitchen scissors. In no time, you’ll find out why these homegrown herbs are so much better tasting inside your homemade gourmet dishes.